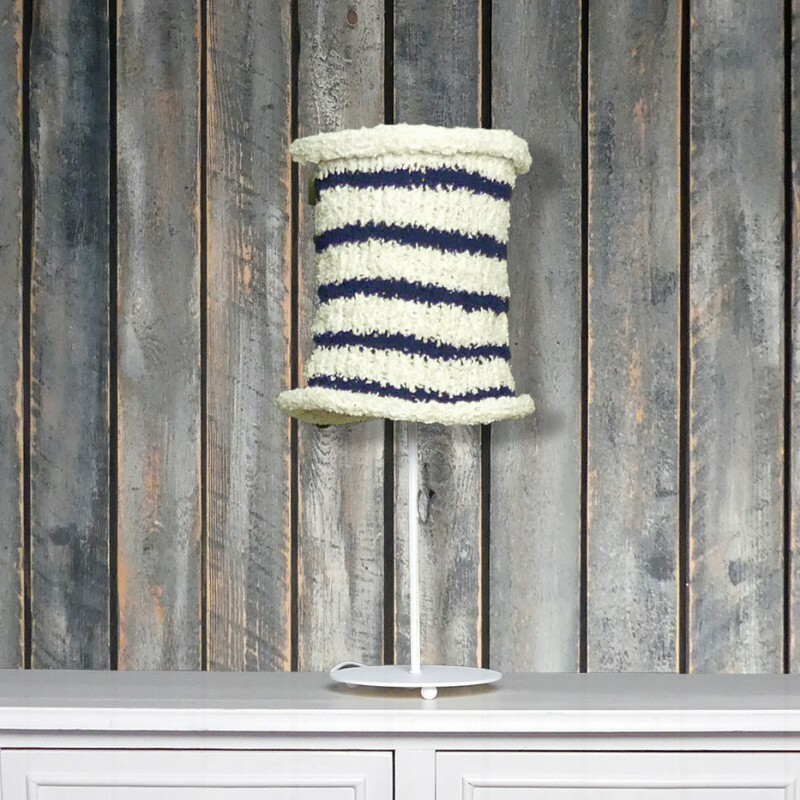 This Mousse light by Roscoff from the Littoral collection proudly displays the traditional blue and white stripes of the French Napoleonic marinière. When lit, the Mousse de Roscoff table lamp offers a soft, intimate and friendly light reminiscent of tender holiday evenings at the edge of sea water, river and why not, lakes and ponds. 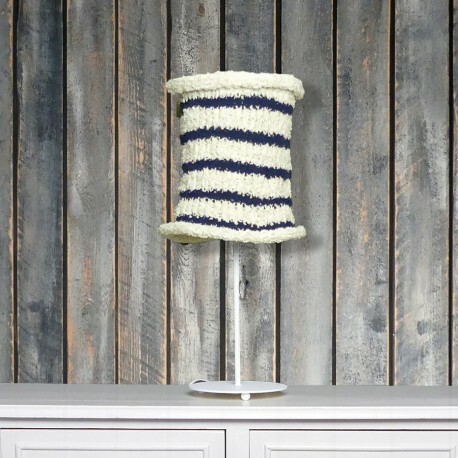 The Mousse de Roscoff lampshade is composed of vegan blue and ecru thread.